…this was the guessing game that occupied most of us when Google created a suspense three months ago, at the launch of the Android M Developer Preview at Google I/O in May. 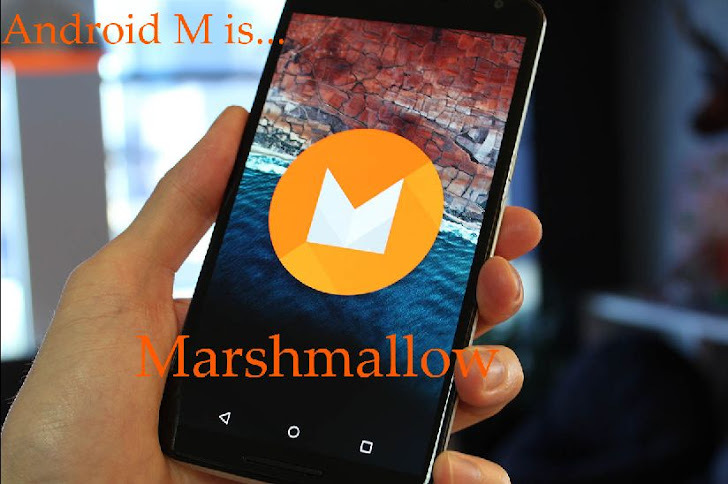 Much awaited Android M is named as 'Marshmallow'; it is the thirteenth Google's Android operating system. Google revealed the 'Marshmallow' by following its ritual of keeping the statue of Android robot with a Marshmallow in his hand. After the final Developer Preview, the official Android 6.0 Software Developer Toolkit (SDK) is now available for download from the Android Studio. With this Google also opened the gates of Google Play for publishing apps that target the new API level 23 in Android Marshmallow. Developers aiming to develop or update applications for Android can now download the software development kit. Marshmallow defines the Android operating system in a new way altogether, as it comes with strong security mechanisms and Application Programming Interfaces (APIs), absolutely one of its kind. It includes native support for fingerprint sensors, allowing the authentication method to be used for Google Play Store and Android Pay services, thus increasing the security of the device. There's also an API that helps developers make use of fingerprint sensors to build their apps. The Previous Android version 5.1.1 Lollipop had some security and issues, therefore the current Android version 6.0 will provide with an updated power-saving mode called 'Doze' capable of reducing background activity when the mobile device is not being held. Marshmallow also rationalizes the "Permissions model" for users to install and upgrade apps. Many of us might not be paying any attention to the app permissions while installing an app. However, with Android Marshmallow, you may want to check what it used to be. Users when installing or upgrading apps need not grant any permissions. Instead, an app requests permissions from the user as and when it needs them. Android Marshmallow streamlines the app install and update process. By increasing user flexibility, Marshmallow makes sure that an app behaves as expected even after disabling a specific app permission. If an Android app supports the new permission model, it can still be installed and run on smartphone devices running older versions of Android operating system using the old permissions model on those devices. "The Android emulator system images and developer preview system images have been upgraded for supported Nexus devices [which include Nexus 5, Nexus 6, Nexus 9 & Nexus Player] to help with your testing," reads the official Android blog. "Although the Android 6.0 SDK is final, the devices system images are still developer preview versions. The preview images are near final, but they are not intended for consumer use." For the consumers to experience the taste of Marshmallow, they have to wait till its availability in the Q3 2015.